Let us first understand what an accountancy firm is. They are firms of accountants that cater to businesses (retailers, manufacturers, companies, etc. ), individuals, non-profits organisations and government organisations. The services provided by accounting firms will vary by the size and the expertise of the firm. Some of the accounting services are – preparation and auditing of the clients' financial statements, preparation of income tax returns and tax planning, consulting and advising involving accounting systems, mergers and acquisitions, etc. The people employed in accounting firms are mostly certified public accountants or CPAs. Offering Accountants in Cornwall, specializing in Limited Company accounting, tax advice, tax investigation, tax planning and accounting services, we have grown to become a respectable and locally recognized firm. All the partners and senior staff members of our team are either qualified professionals or members of professional accounting bodies such as CIMA, ACCA or hold university degrees from well-accredited universities. Our contractor accountants Cornwall have various works like dealing with Companies House correspondence and with all HMRC-related correspondence, completion of your company’s quarterly VAT returns, completion of your company’s, dividend planning advice and answering any day-to-day questions you may have relating to your tax affairs. Our team is greatly dedicated to their work and always ready to help our clients in case of any necessity. Our tax accountants Cornwall work with the utmost dedication, to give clients the best possible service. They prepare federal, state and local tax returns for businesses, organizations and individual persons. They are professionals who are knowledgeable on various business concepts and government regulations. They advise clients on how to minimize tax liability, inform them of any tax changes that can affect their business and ensure they are incompliance with the taxing agency requirements. They are deeply involved with our clients. 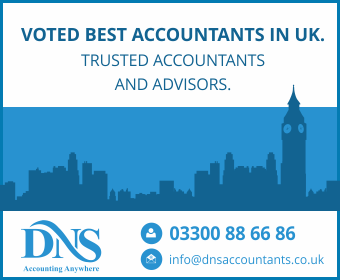 There are many accountancy firms in Cornwall, but we, DNS Accountants, provide the best of services amongst all of them. We provide various financial, accounting, and consultancy services to different businesses, freelancers, and contractors. We are a respectable firm, having provided great service to all of our clientele since 2005. We provide a professional, proactive service looking into all of your needs. Face-to-face meetings can be arranged if you want expert advice or through the telephone with our qualified team members. Our team’s main aim is to save your taxes and money in every possible way. Satisfaction is guaranteed, and you won’t be bothered with any penalties or deadlines. Give the detail revolving around the creation of “Memorandum of Association” along with the “subscribers” that is all the initial stakeholders. With our experience in the field, we want to help out as many clients as we can, helping to take the burden off their shoulders, so that they can manage their businesses efficiently. We guarantee to never disappoint our clients and do our work diligently. Our only goal is to see our clients succeed. Hence, we provide skilful and highly experienced services, which has helped us accrue a lot of respect over the years.